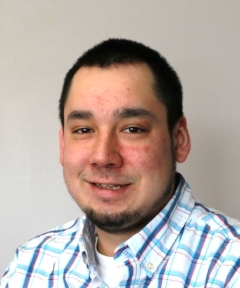 Joseph is from Iqaluit, Nunavut and lived partly in Dartmouth, Nova Scotia where his father was originally from. He joined the technician team in February 2011 and is now an accomplished techie who can travel independently wherever the translation equipment takes him as well as with an assistant to train and supervise. Joseph likes spending quality time with family and friends.